Wagireh’s or sampler’s are becoming a new collecting field. Bidjar Rug, Persia, Late 19th Century – Here is an antique Oriental rug with a fascinating and exciting pedigree: a Bidjar rug that was originally hand woven by the master rug makers of Persia, some time during the latter years of the nineteenth century. 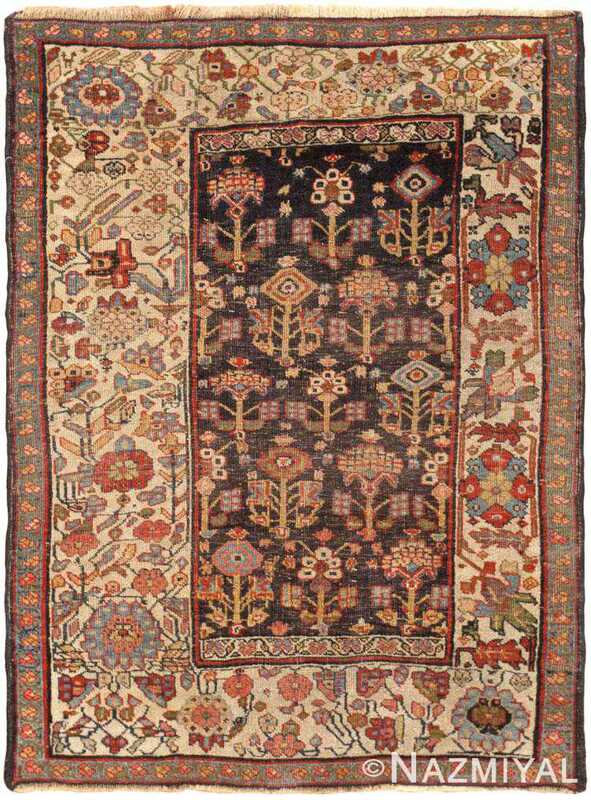 Part of what makes this particular piece noteworthy is that it is in fact a “wagireh.” In fact, wagireh rugs — which are also referred to as “samplers” — have become highly collectible and sought after pieces. 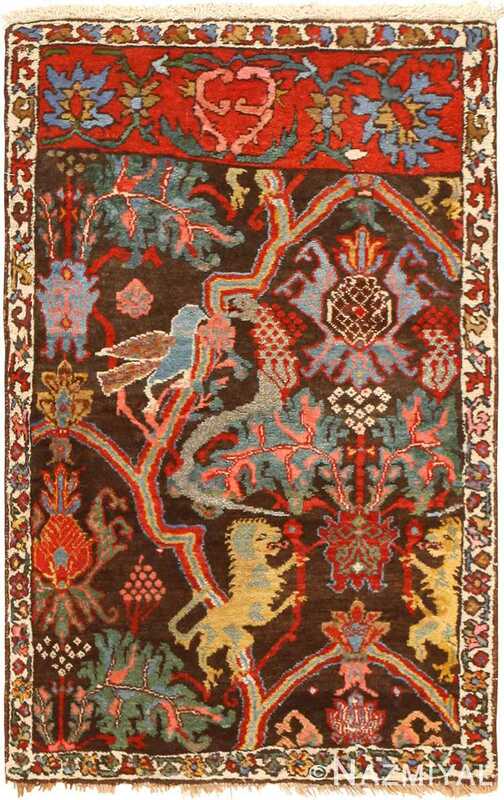 These generally small rugs were woven to represent designs for larger carpets. What exists now are intriguing rugs with a variety of designs. 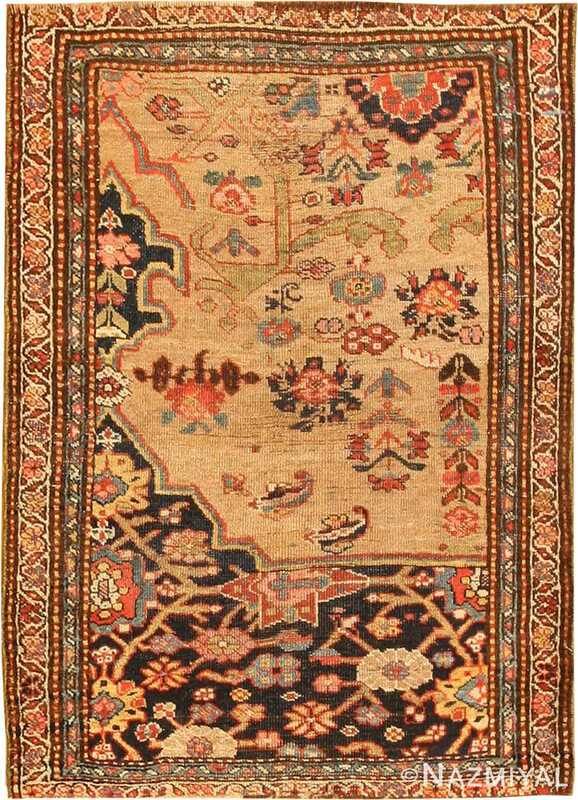 Wagirehs such as this beautiful Bidjar rug are among the most interesting and unique of all antique Oriental rugs. Perhaps one of the more intriguing facets of antique Oriental rug design is the retinue of standards that developed over the course of the centuries; that is to say, as time progressed, certain standards of beauty came to be expected in the finest antique Persian rugs. When these standards are not met, a certain inexplicable quality seem to be absent. Somehow, this is not the case in Bidjar or wagirehs.